In recent years, a better understanding of tumor biology and molecular features of gastric cancer has been reached. It may serve as a roadmap for patient stratification and trials of targeted therapies. The apparent efficacy of PD-1 blockade might be limited to a relatively small subset of advanced gastric cancer patients. 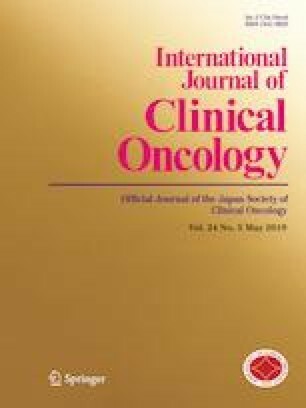 In this study, preclinical and clinical studies, which investigated molecular features, promising treatment targets, and immune checkpoint inhibitor in gastric cancer, were reviewed via PubMed and the congress webpages of the American Society of Clinical Oncology and European Society of Medical Oncology. Next-generation sequencing technologies have defined the genomic landscape of gastric cancer. Indeed, several molecular classifications have been proposed, and distinct molecular subtypes have been identified. Based on these molecular profiles, clinical trials of new agents such as receptor tyrosine kinases inhibitors, antibody–drug conjugates, and IMAB362 (anti–Claudin 18.2) are ongoing. In addition, biomarkers to predict response during immune checkpoint inhibitors and combination therapy have been enthusiastically investigated. Remarkable advances in an understanding of molecular profiles of gastric cancer enable the development of novel agents. The better treatment selection of immune checkpoint inhibitors or combination therapy should be established. These developments could facilitate precision medicine on gastric cancer in the near future. No specific funding, financial disclosures or assistance declared. The authors declare no potential conflicts of interest.